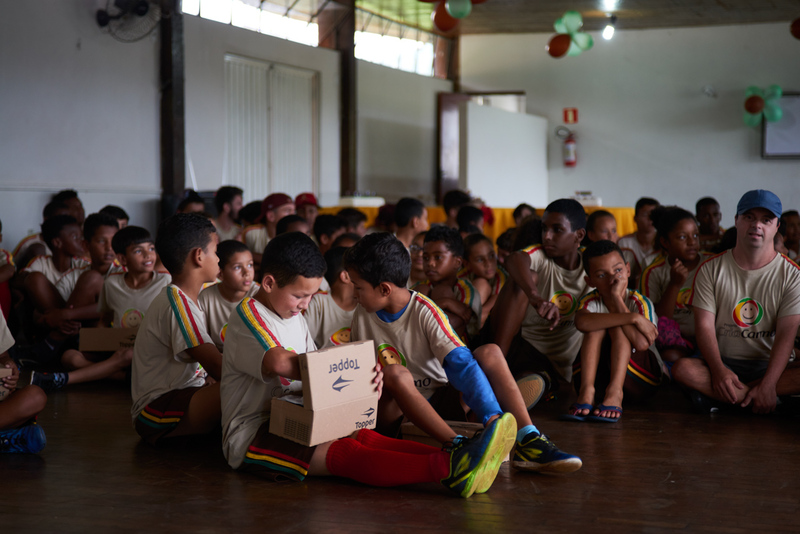 Carmo de Minas is a coffee region through and through, meaning that the lives of almost every resident is somehow touched by coffee—including local children. 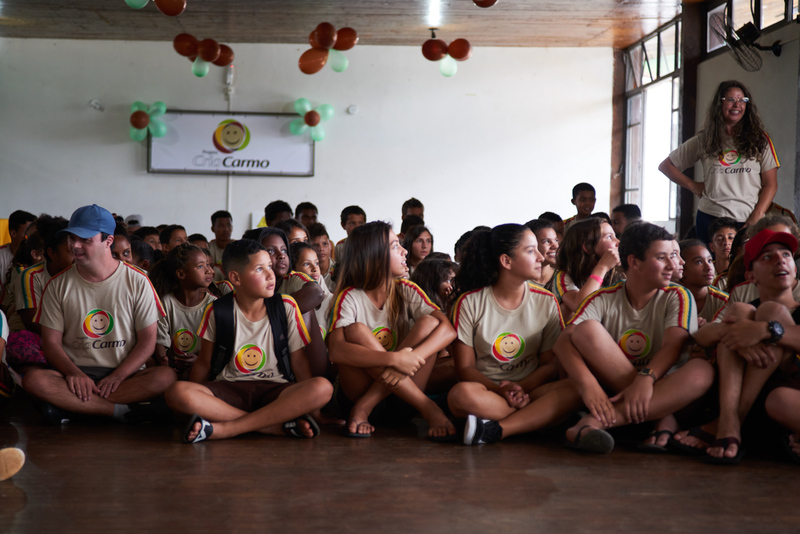 In an effort to provide social and educational opportunities for the young family members of many of the coffee growers, pickers, and mill employees in the region, coffee development and exporting company CarmoCoffees established a program called CriaCarmo, which offers a range of enrichment activities to at-risk and underprivileged youth in Carmo de Minas. 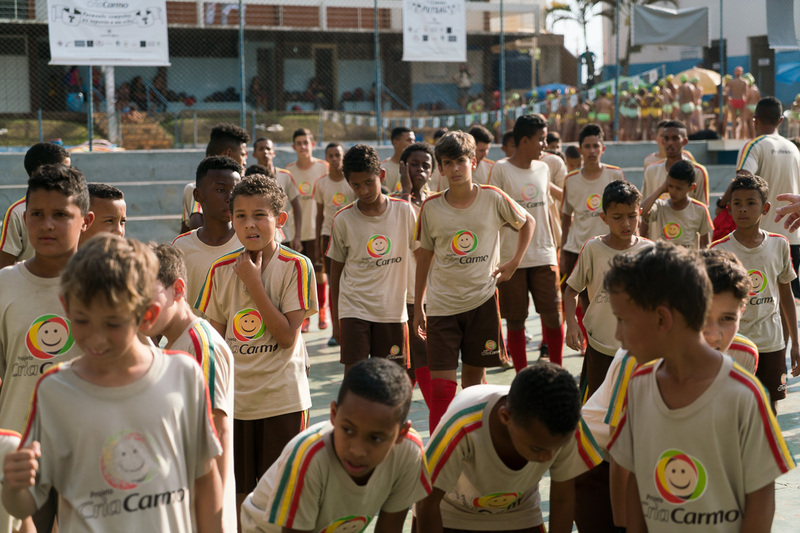 More than 200 children between the ages of 7 and 17 utilize CriaCarmo for free access to futsal classes, chess lessons, swimming, karate, and other activities aimed at nurturing their social, physical, intellectual, and emotional lives. The youth spend afternoons at a local country club that donates its time and space for the play and lessons, offering a safe space for kids to be carefree and engage with their friends in an engaging learning environment. For the past several years, Cafe Imports has made an owners’ equity contribution to the CriaCarmo program, and this year there are two new opportunities for our customers to join us in supporting this fantastic mission. For the first time, Cafe Imports has sourced coffees from CarmoCoffees with an additional $0.10 per-pound premium applied as a way of raising funds for the program. Premiums from the sales of this high-quality Honey-processed Yellow Bourbon coffee (one container available spot in the U.S.A. and one in Melbourne) will go directly to CriaCarmo. Roasters who are interested in contributing to the program without purchasing the specific CriaCarmo coffees are invited instead to donate directly through PayPal, to an account established and maintained by CarmoCoffees. This PayPal link can also be shared with coffee lovers in cafés or in other consumer-facing platforms. Additionally, roasters interested donating proceeds from the sales of CriaCarmo coffee or other CarmoCoffees offerings may make their donations through that link as well. With these two new opportunities to give, no amount is too small to make a real difference in the lives of these Carmo youth, and to support the community from which so many of our favorite coffees come every year.